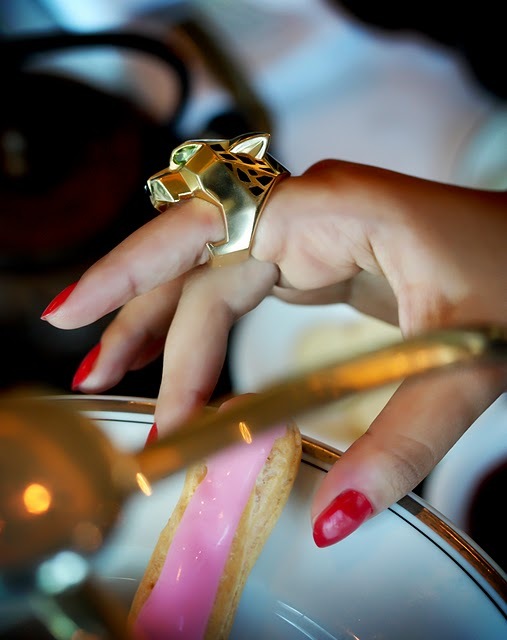 Only slightly obsessed with this Cartier Panthere ring as featured on Haute Couturista Street Style. Price available upon request according to Cartier's website so I'm not even going to begin to think about what it might set back a mere mortal. Strangely considering I have an entire custom drawer in my wardrobe dedicated to housing my jewellery collection, I've not really been much in the mood for baubles recently. But I do like the the look of accessorising a minimal outfit with one show stopping piece and this kitteh ticks all of my boxes. Ooh, I like, I like....kinda edgy yet very glamourous. ah gorgeous for sure..and amazing photography! 'price available on request'....that's never fun! I fell in love with this ring when I saw it. I could imagine how amazing it would be to add to any outfit. Great photo!